Front Tapers Vary From 13 /4,0 M To 15 /4,6M. The Long Fronts Help Generate Precise And Controlled Presentation At Both Short And Long Range. 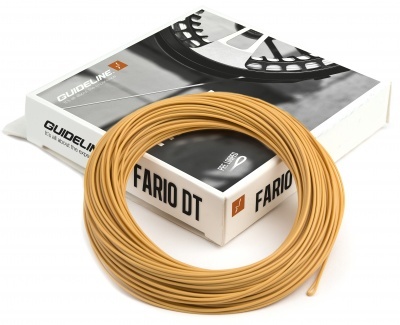 Fario Dt Offers Superb Loop Control For A Wide Variety Of Casts And Directional Changes. It Is Supple And Has A Buoyant Coating For Good Floatability, Especially Noticeable In The Tip Area.Our Act Technology Makes The Lines Very Slick. They Also Have A Carefully Controlled Stiffness Ratio Between Core And Coating, Enabling A High Quality Outcome. Both Ends Of The Line Are Fitted With Small Factory Made Loops. There Is A Line Id Printing Near The Front Loop. Color: Sand.